Accueil › Enfants ou étudiants à parrainer › SEA welcomes new boarders at Shree Liti in Dhading!! SEA welcomes new boarders at Shree Liti in Dhading!! On Friday, May 3, 2013, Marie-Hélène and Carole (2 SEA Board members) visited Dhading District to meet with the principal of Shree Liti and provide further scholarships to students. They also met with the kids sponsored in 2012-2013, 7 of which sit for the School Leaving Certificate (SLC) exam, the final examination in the secondary school system of Nepal, and were waiting for their results. Of course, Rajindra, Anga and Nyma were part of the trip. And Elias Sfaxi, an experienced photographer, joined all of us. Unfortunately, Sarita had to work that day and couldn’t come with us. From the 2012-2013 group of students, SEA has decided to continue the sponsorship of 5 kids only, namely Ram Maya and Phool Maya, who have been transferred to the SEA Home, and Pradip, Ram Kumar and Radha Krishna, who continue to study at Shree Liti. All of the other sponsorships have been discontinued, either because the students have finished their secondary education without meeting SEA scholarship eligibility requirements for higher education, or because the parents are now able to finance the studies of their children. Pradip continues to live at Shree Liti as a boarder, while Ram Kumar and Radha Krishna now attend school as day scholars. Indeed, the two latter kids moved back to their parents’ homes, as it takes them only 10 minutes to walk from home to school. Pradip was promoted to 7th grade (with a performance score of 46% in 6th grade), Radha Krishna to 4th grade (with a score of 49% in 3rd grade) and Ram Kumar to 2nd grade (score of 58% in 1st grade). It is our great pleasure to introduce our 9 newly sponsored boarders. All of these children, who used to live in extreme poverty, now stay at school during the school year. Many of them are from broken families. All of them were preselected in April by a team comprising the director of Shree Liti, Anga and Nyma. 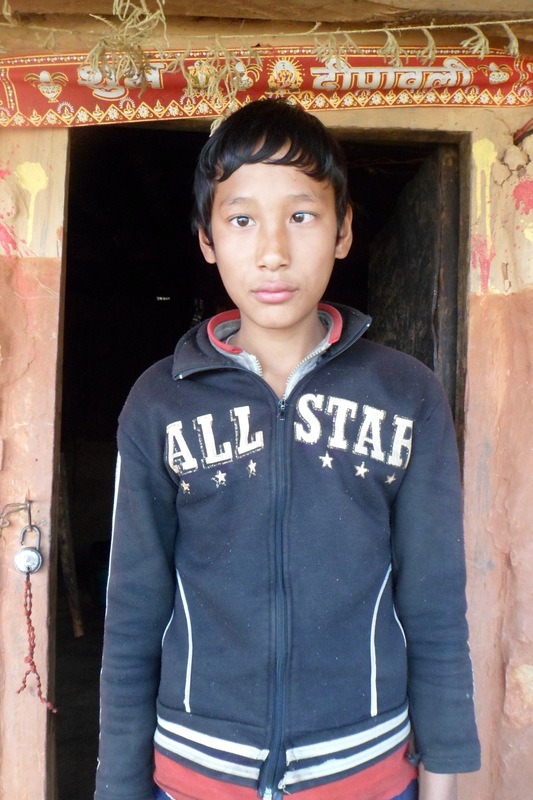 So, including Pradip, SEA now sponsors a total of 10 boarders at Shree Liti. Sirijana is 9 years old. She has no siblings. Her father left a long time ago, her mother, who is now suffering from ulcer, is a stone-cutter. Sirijana lives in a rough one-room shack with her mother and her grandparents on the bank of the river. They have no land, no field and no livestock. They are among the poorest of the poor. Sirijana is in 4th grade. She passed grade 3 exam with a score of 51%. Anjali is 11 years old. Her father is a farmer, her mother is a housewife. They live from hand to mouth. They have no land, but they own livestock (1 cow, 1 calf, 2 hens and a female goat with 2 kittens) which helps them to earn some cash through the sale of animal products (milk, eggs, meat). Anjali has 4 brothers (who have all left the family environment) and 1 little sister. Anjali brilliantly passed the 5th grade exam with a score of 74% and is now studying in 6th grade. Her dream is to become an English teacher. Sano is 14 years old. She has no father, her mother is a homemaker. They are among the poorest. 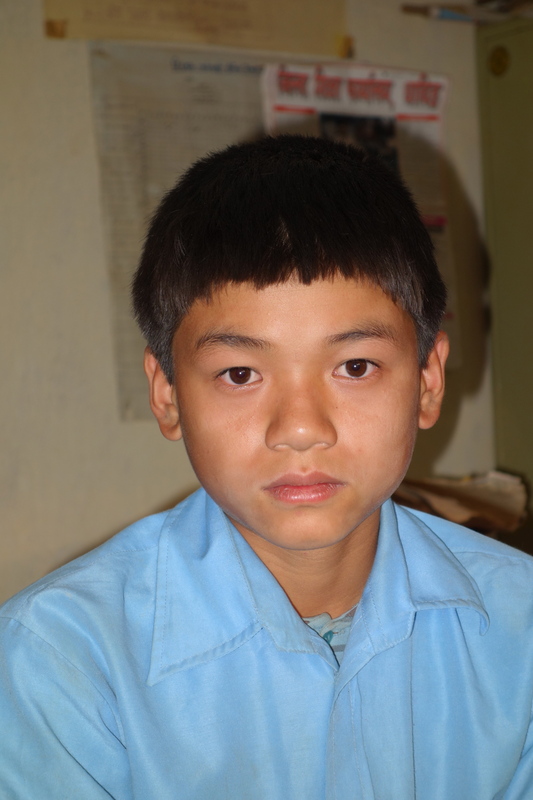 Sano has 1 brother and 1 sister, who is 22 year-old and handicapped. Prior to being sponsored by SEA, Sano had to walk more than 3 hours per day to go and come back from school. She scored 67% in grade 5 exam. 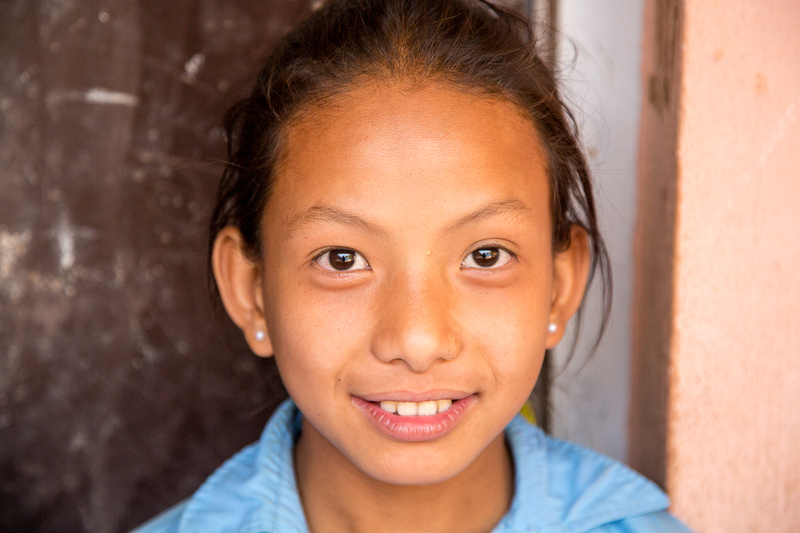 Her preferred subject is Nepali and her ambition is to become a Nepali teacher. Deepak is 14 years old. 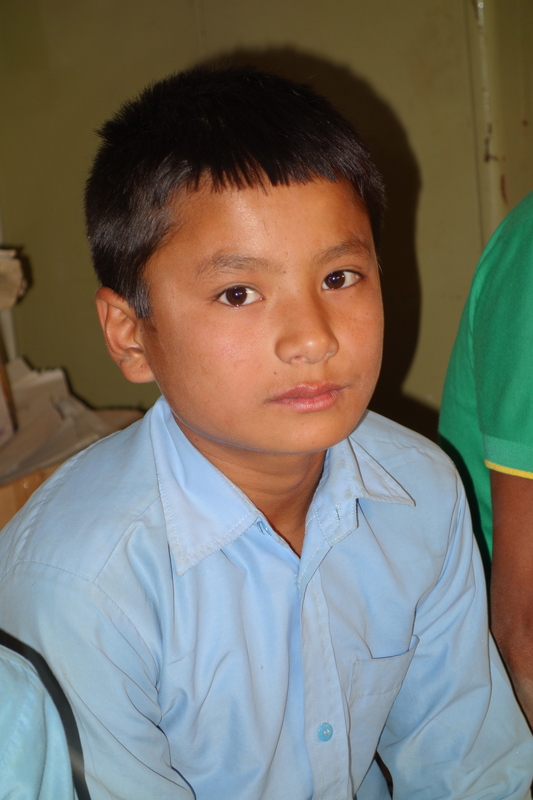 He is the brother of Regina who was sponsored last year as a boarder at Shree Liti. His mother passed away and his father is a farmer. He has a little sister who is handicapped after falling off her chair. Deepak is a bright student who has always scored more than 70% at his exams. He secured 79% in 6th grade examinations and is now studying in grade 7. 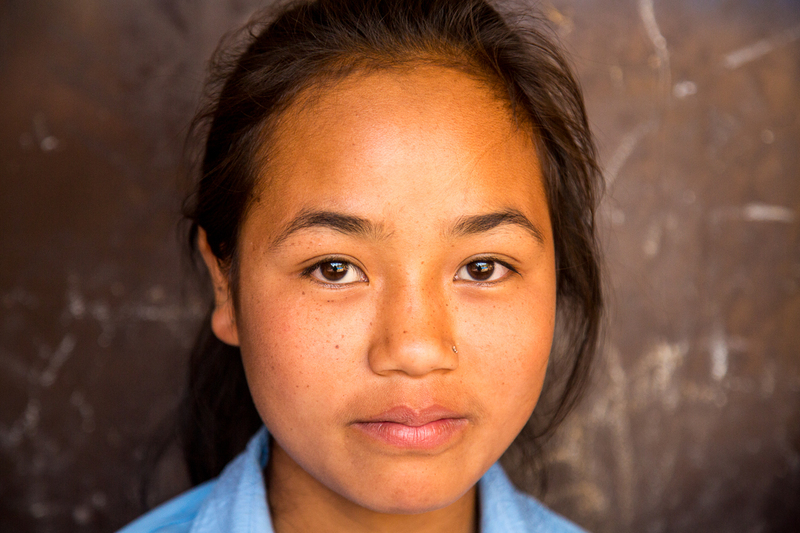 Pramila is 14 years old. Her father cannot work, because he suffers from frequent and severe asthma attacks, her mother is a housewife. They have 7 children, 5 daughters and 2 sons, 4 of which have left the family environment. This family subsists almost entirely on its livestock, which consists of 1 buffalo, 2 cows and 2 goats. 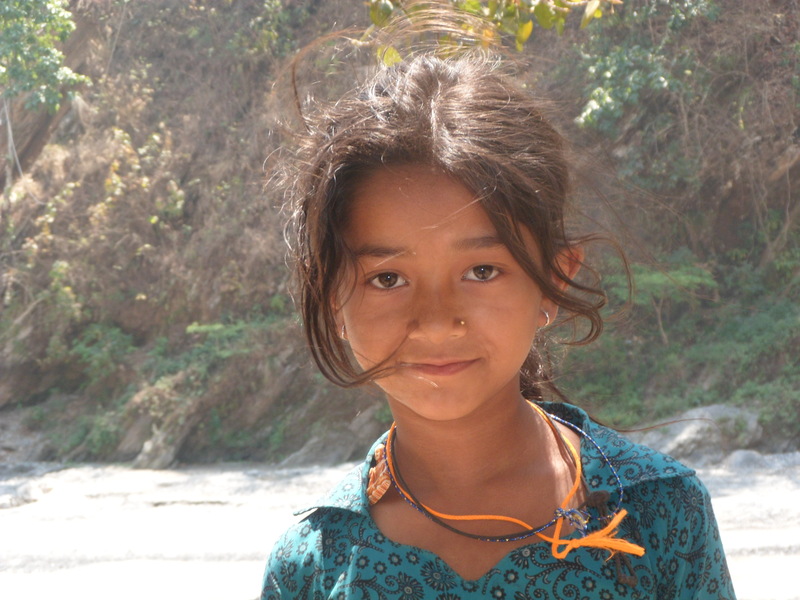 Pramila lives about 2 hours’ walk away from school. She successfully passed grade 6 exams with an overall score of 50% and now studies in 7th grade. Her ambition is to become a doctor (failing that, an English teacher). Ashok is 13 years. Both his parents are homemakers. They have no income. Their only possessions are 1 buffalo and 3 goats. To enable his son to go to school his father has taken loans. Ashok has 1 sister. He passed grade 6 exam with a score of 46% and is now studying in 7th grade. Anand is 12 years old. His father left, his mother is dumb. They live in the most pitiful conditions. Anand has a little sister of about 8 years. 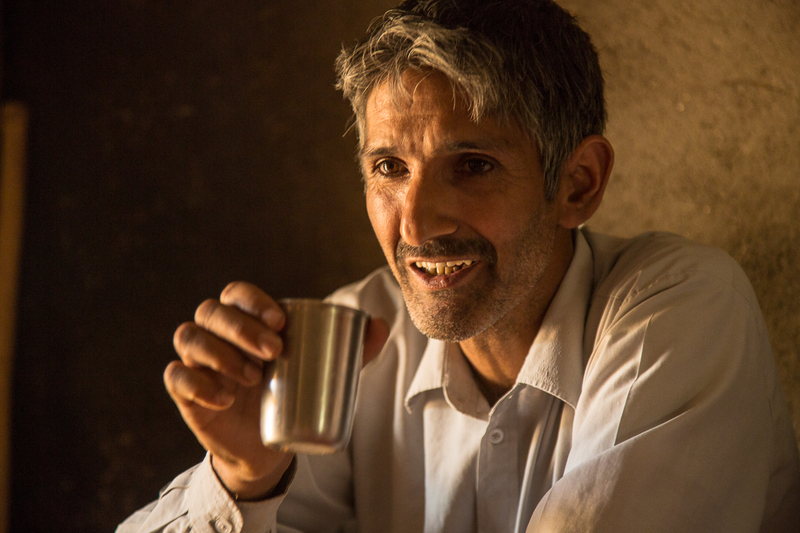 Every morning, before going to school, Anand used to sell mulberries to earn some income. Their main means of subsistence lies in 1 buffalo, 3 goats and 6 hens. Anand’s house is almost 2 hours’ walk away from school. 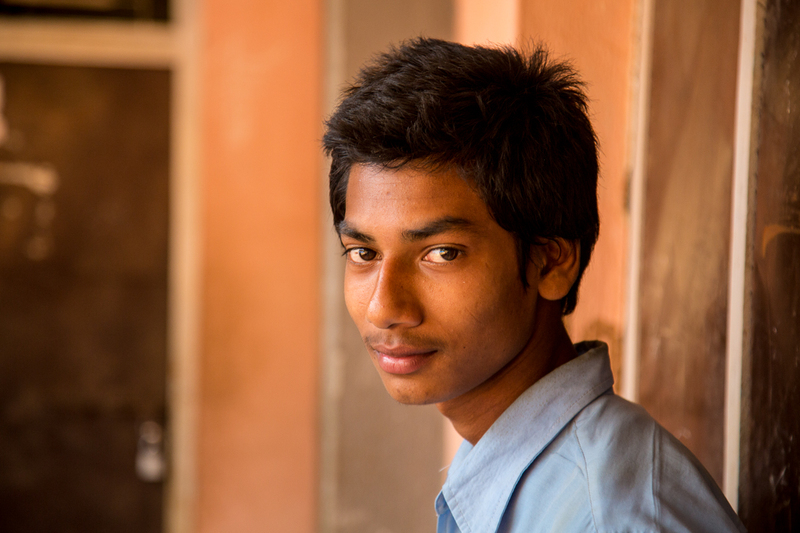 Despite harsh living conditions, Anand brilliantly passed 7th grade examinations with an overall score of 66%. 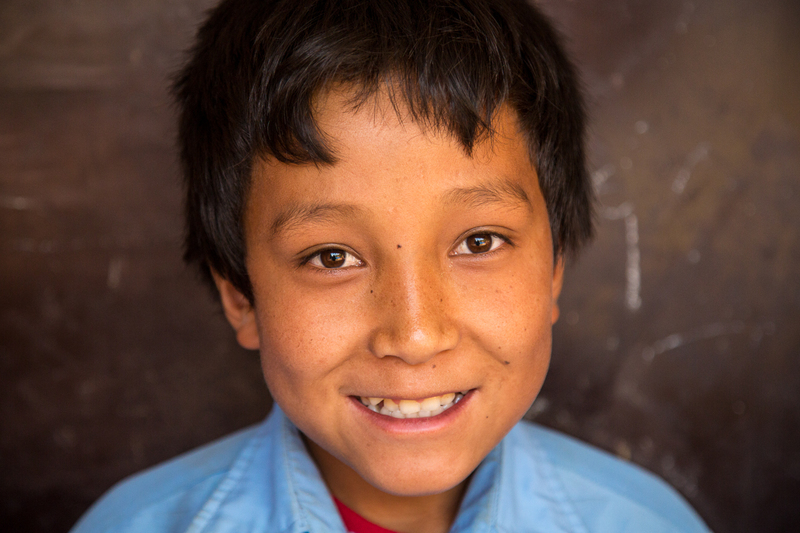 His two preferred subjects are math and sciences and he dreams of becoming a science teacher. Kiran is 12 years old. His mother works abroad. His father, who is a farmer, looks after everything at home. Kiran, who has a little brother, lives close to Anand, as they are cousins. So, like Anand, Kiran used to walk almost 4 hours per day to go to and come back from school. He passed grade 6 exams with an overall score of 54% and is currently studying in 7th grade. Saroj is 14 years old. He has no father, his mother is a homemaker. He has been living alone with his mother since his 2 elder brothers left years ago. They have no source of income and survive month to month. His home is one hour walk away from school. 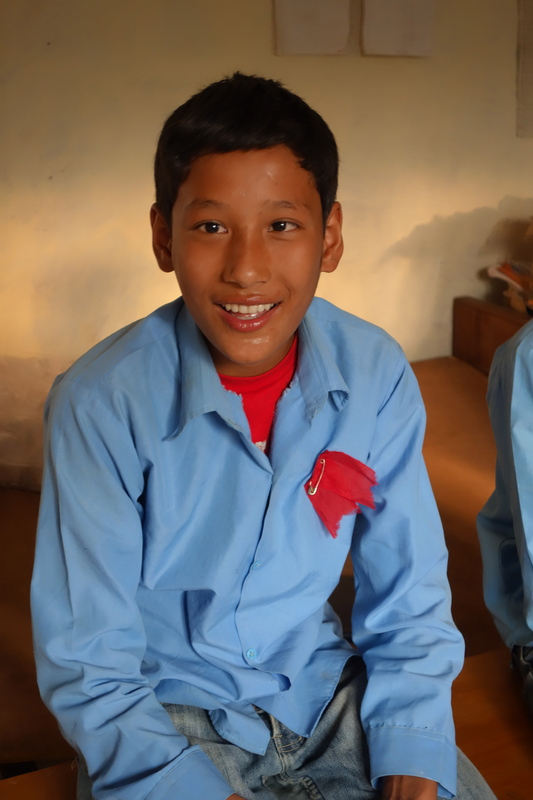 Saroj has recently been supported by the school, as he is a good and hard-working student. He successfully passed 7th grade examinations with an overall score of 60%. His favourite subjects are sciences and maths, where he scored respectively 73% and 83% at his latest exams. His dream is to become an engineer. 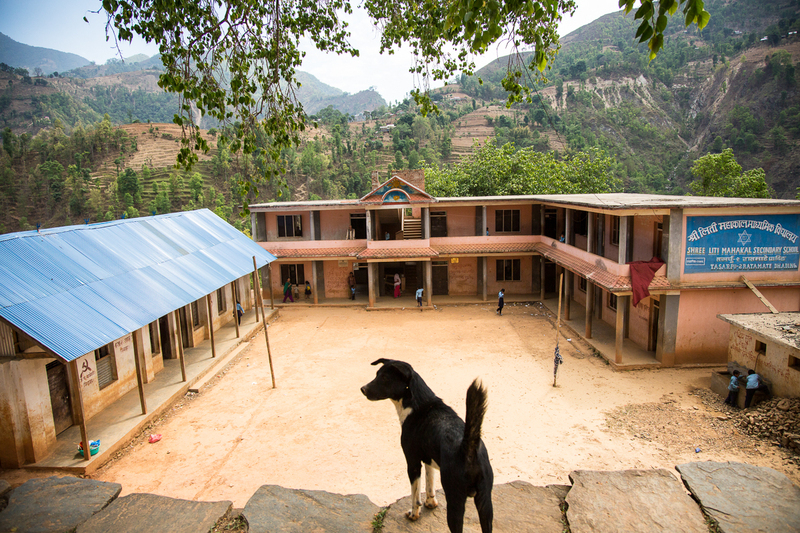 Help and sponsor a boarder at Shree Liti school, by giving 420 € a year (or 35 € a month), so less than 140 € a year (or less than 12€ a month) with the tax reduction. Bravo pour cette présentation complète des enfants de DHADING et de leurs conditions de vie. J’ai h’âte de faire leur connaissance…. quand des finances me le permettront !